Have you heard the news? We're celebrating 40 years of caring for the community this year and it all kicks off this week! Centacare North Queensland, originally known as the Catholic Family Welfare Bureau (CFWB), officially opened when Bishop Leonard Faulkner was in office on 17 April 1979. What began as a volunteer organisation with a small team of dedicated people, has expanded as one of the largest regional, rural and remote services in the state, with more than 170 staff delivering a diverse range of programs to Townsville, Mount Isa, Bowen, Ingham, Burdekin, Cloncurry, Normanton, Palm Island and surrounding locations. Centacare North Queensland Executive Director Paula Washington said since its inception, Centacare has been committed to delivering quality professional services to individuals, families, children and people of all ages and backgrounds to provide support, confidence and skills to help people overcome challenges and increase their resilience and wellbeing. 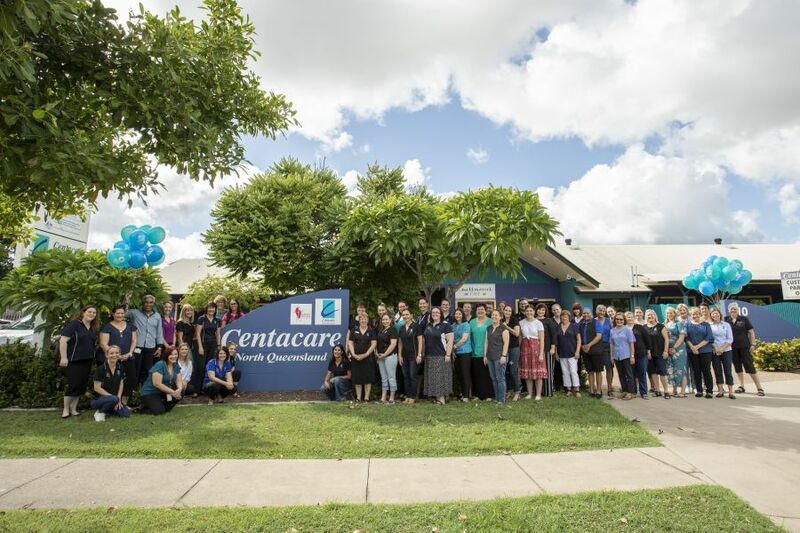 "For over 40 years, Centacare North Queensland has continued to evolve and grow to position itself as one of the most well-known and respected social services agencies across the region. We have experienced exceptional growth and development as a direct result of always working from a strong values base of dignity, respect and justice for all to understand and respond to the diverse needs of our community. In 2019, Centacare delivers 40 programs across 33 percent of the state and is one of 30 Centacare/Catholic Care agencies in Australia. "Centacare prides itself on working collaboratively with community members to understand local needs as the foundation of developing new services. Over the years, this has lead to the implementation of vital support services including Gambling Help, NDIS approved disability services and Respite House, housing and homelessness support, youth engagement, family counselling, a dedicated family dispute resolution service known as Family Relationship Centre and our range of life skills and education courses," Ms Washington said. "I’m unsure anyone could have predicted the depth and breadth of services Centacare would come to offer when it commenced all those years ago, but our growth and expansion has occurred as a result of the combined contribution of many staff over this time. "Since the beginning, we've weathered storms, cyclones, floods, droughts, significant legislative changes, technological advancements, economic downturn and changing societal expectations, but the truth is we simply wouldn't be here if it weren't for the devoted employees both past and present who have all contributed to the ongoing growth and development of this wonderful organization. “As the social services ministry of the Catholic Church we are proud to continue in the tradition of our earliest beginnings in delivering services with dignity, compassion, respect and unconditional regard for each and every person who comes to Centacare. "It's an exciting time for Centacare, and I feel very fortunate to be part of the journey as we continue the commitment to the region and provision of quality services that are accessible to all in our community, as was the original intention so many years ago" Ms Washington said.